Guidance and resources to help you make the most of the Christmas Box Appeal. Thank you for your interest in the Christmas Box Appeal. Whether you are simply thinking about joining in, or your church, business or community group has committed to supporting the appeal, hopefully you will find all the information you need to make a decision or get started here. If you have any questions, please do get in touch with us at rich.parsons@fscinet.org or 01722 580192. Can my organisation join in with the appeal? We would love to have your support, but our logistics coverage is mainly limited to Southern England, South & West London, the West Midlands and South Wales. If you are northeast of the M40, west of the M5 or east of the M/A23 do get in touch and we’ll see how we can get you involved. Individuals make boxes at home. After initial approach to/from FSCI your org agrees to support campaign. Individuals or families take home a leaflet each, containing instructions on how to make a box and make a donation for its shipping, along with ideas and suggestions of what to put in the box. Boxes are bought in by a deadline date fixed by participating org and FSCI (typically mid-November). FSCI arrange collection of boxes (normally day after above). Distributions in SE Europe from December 10th. This way offers the chance for people in your organisation to collaborate in making up and donating Christmas boxes. In addition, empty shoeboxes will need to be sourced (max size 395mm long x 240mm wide x 118mm deep)! Buying items in bulk will be cheaper and less time intensive. Some companies choose to pay the £3 per box that we ask for shipping for their employees, or may match donations. Worth an ask! Items are brought into church/work/group and a time set for participants to “make up” the boxes from the donated items. This can take the form of time slots being set for departments to come in during a designated day for a “making session”, following process and guidance supplied by FSCI. (see Resources, below). FSCI arrange collection of completed boxes (typically during mid-November). A number of organisations are now adopting this second approach and have found it to be a great way of working together to deliver a really good result – usually at a good saving! Downloadable templates and materials to support OPTION 2. Download 1: A combined note and list (A5) for participants that you can edit and print to suit. Change dates and add other information to suit your timetable. The template varies the list of items a little, so try and give out equal numbers of each list. Hopefully this will help to get an even spread of suitable items. Download 2: Cover letter to go with the list above. 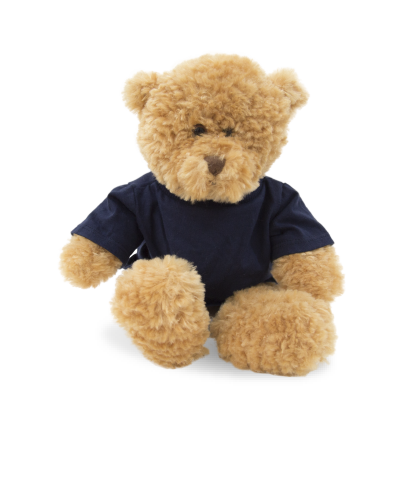 New to our Christmas Box Appeal? 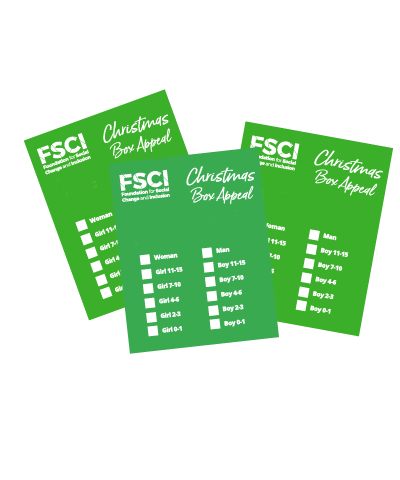 If you would like to join in with the appeal this year, please do get in touch at rich.parsons@fscinet.org or 01722 580192.